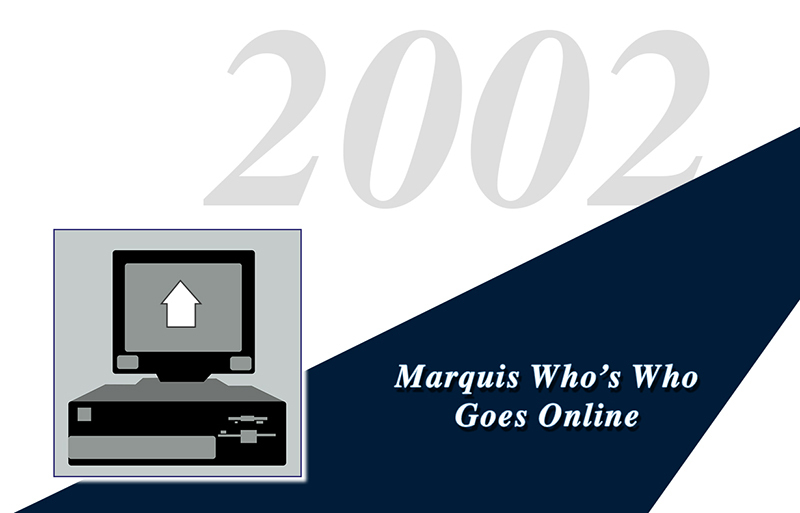 In November 2002, Marquis launches Marquis Who’s Who on the web, featuring one million online biographies. Users are able to search by name, gender, or occupation. Over the years Marquis adds over 500,000 additional names and vastly improves the interface and searchability. The product is renamed Marquis Biographies Online in 2012.